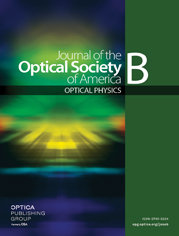 Based on the electric dipole approximation, numerical computations for the optical orbital and spin radiation torques induced by a zeroth-order Bessel beam on a lossless dielectric subwavelength spheroid with arbitrary orientation in space are performed. The transverse optical force components are determined first, and then used to compute the longitudinal orbital torque component. Moreover, the Cartesian components of the spin radiation torque vector are evaluated. Numerical calculations illustrate the analysis with particular emphasis on the beam parameters, polarization of the magnetic vector potential forming the beam, and aspect ratio of the spheroid. The results demonstrate that the lossless dielectric subwavelength spheroid becomes irresponsive to the transfer of angular momentum, where the longitudinal orbital and spin radiation torque components vanish along singularity lines. Moreover, depending on the beam parameters and the spheroid location in space, the longitudinal orbital and spin torque components reverse sign, indicating a direction of rotation around the central axis of the beam and center of mass of the spheroid, respectively, in either the counterclockwise or clockwise directions. The results are important in particle dynamics and trapping applications, optical tweezers and spanners, and other related fields.